Confession of the day: My love for castles may have ventured from the addiction territory into an obsession. 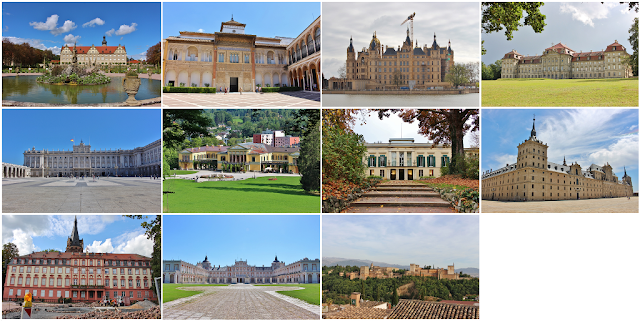 Turns out I visited 28 castles and palaces this year (and yes, I purposely excluded all the museum and churches related to royalty for the sake of a reasonably comprehensive post). First up, all the castles and palaces that are open to the general public. My three favourites of the year are actually in the first row. Schloss Weikersheim, Real Alcázar de Sevilla and Schloss Weissenstein. I also really enjoyed the Alhambra though I think I actually liked the Alcázar in Seville better. Secondly, all the castles and palaces not open to the public I saw on the way to or back from other castles adventures or while otherwise passing by. 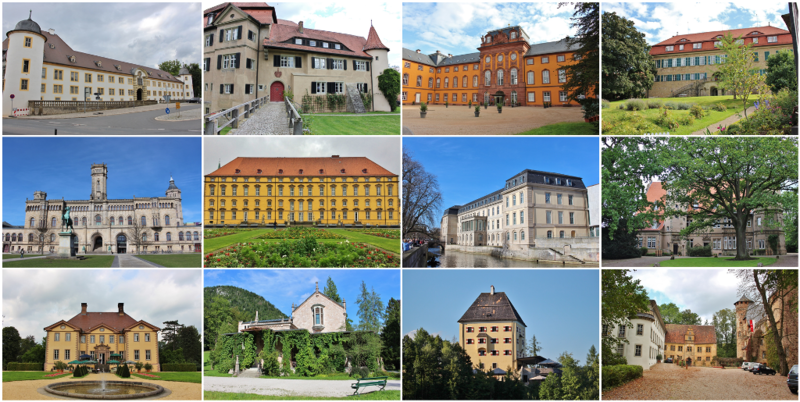 My favourite of them must be Schloss Fuschl in Austria as it is part of my Sissi (the movies) obsession. And last but very certainly not least, the castles and palaces I still got to cover here at Castleholic, including Festung Marienburg, the Residence of Würzburg, Kloster Bronnbach, Schloss Detmold and Schloss Alverdissen. I hope I'll get to them sometime soon in 2018 - until then: A Happy New Year to all of you, my dear fellow Castleholics! Don't forget to also leave a comment which castles of this year - both personally and on this blog - you did enjoy most.